Relax at the full-service spa, where you can enjoy massages, body treatments, and facials. This hotel also features complimentary wireless Internet access, concierge services, and babysitting/childcare (surcharge). 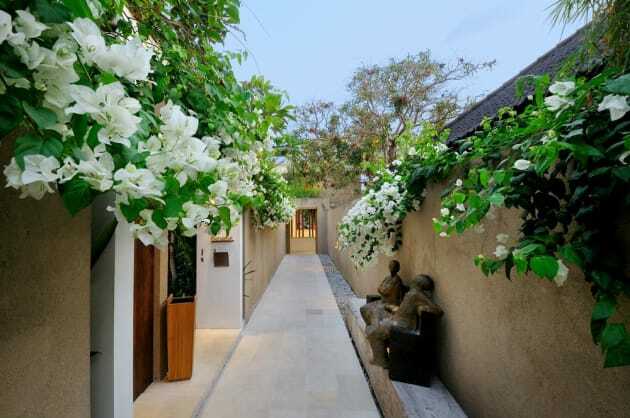 With a stay at Maya Sayang Villas & Restaurant Seminyak, you'll be centrally located in Seminyak, steps from Eat Street and 7 minutes by foot from Seminyak Square. 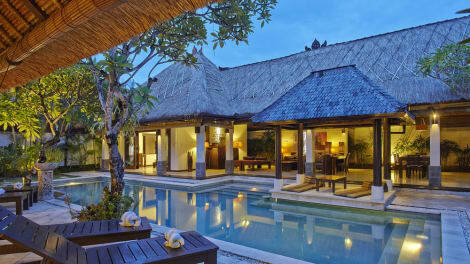 This 4.5-star hotel is 0.5 mi (0.9 km) from Seminyak Beach and 2.9 mi (4.7 km) from Legian Beach. Featured amenities include a 24-hour business center, express check-in, and express check-out. Planning an event in Seminyak? This hotel features 3315 square feet (308 square meters) of event facilities. A roundtrip airport shuttle is provided for a surcharge (available 24 hours), and free valet parking is available onsite. 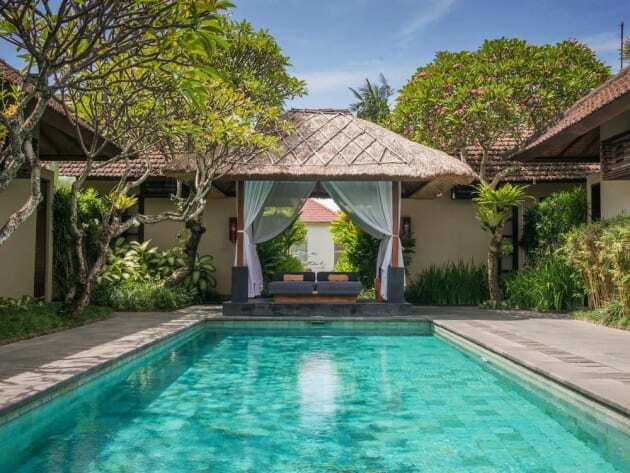 With a stay at Ramada Encore by Wyndham Bali Seminyak in Seminyak (Sunset Road), you'll be a 4-minute drive from Sunset Point Shopping Centre and 14 minutes from Petitenget Temple. 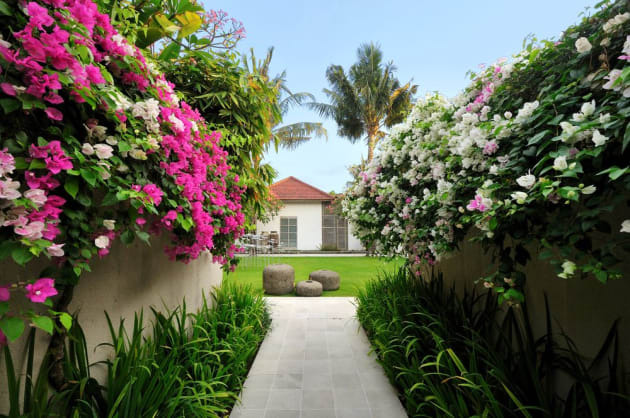 This 4-star hotel is 1.9 mi (3 km) from Seminyak Square and 2.7 mi (4.3 km) from Legian Beach. Satisfy your appetite for lunch or dinner at Blue Karma, a restaurant which specializes in Asian cuisine, or stay in and take advantage of the room service (during limited hours). Wrap up your day with a drink at the bar/lounge.